Planning your retirement? What do you want to do with the rest of your life? This will be a fun and informative event to explore ways to spend your retirement years. Click here for event details including directions, contact information and more. 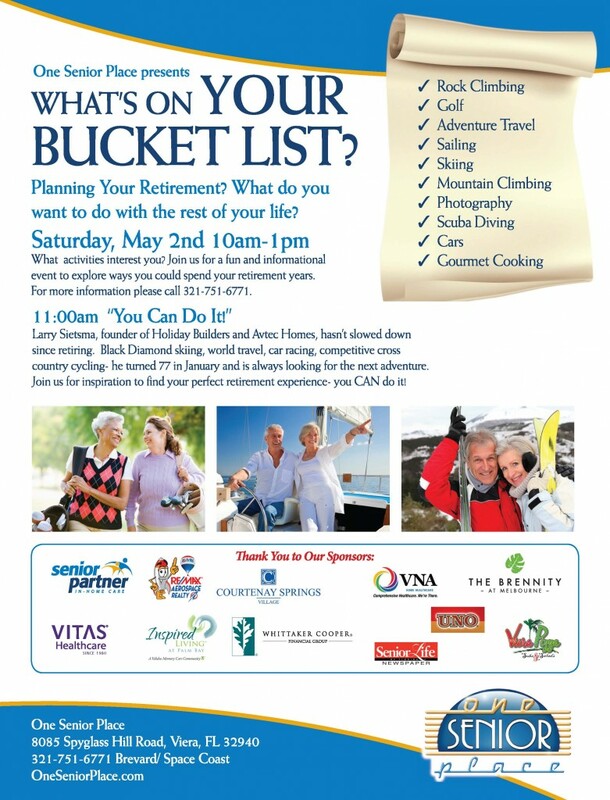 Please click the flyer above for more details about One Senior Place’s “What’s on your bucket list?” event!